Perhaps as relief from the tedium associated with a long, cold winter, February seems to have an abundance of odd holidays. From Groundhog Day (February 2) to the more esoteric ones like National Tortilla Chip Day (February 24) and National Pistachio Day (February 26), the late-winter period seems perfect for quirky celebrations. Today, for example, is National Drink Wine Day, a date devoted to the love and health benefits of wine, as well as the role wine has played in history, religion and relationships. 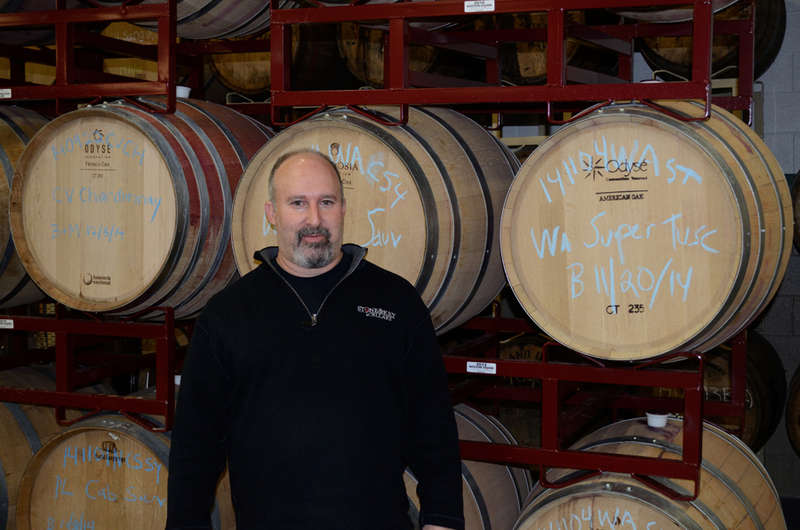 Jason Harris, proprietor at the new Stone & Key Cellars in Montgomeryville, doesn&apos;t just celebrate the consumption of wine one day a year. He&apos;s a 365-day-a-year supporter, eager to not only share the fruits of his own labors but also to train hobbyists in the fine art of fermentation. "I was a biology/chemistry major," Harris says, "who didn&apos;t want to go to medical school; didn&apos;t want to go to veterinary school; didn&apos;t want to go optometry school; and didn&apos;t want to dental school." Instead, he put his knowledge of the effect of yeast, natural sugars, carbon dioxide and water into making wine in Montgomery County, Pa.
During a recent site visit, I am absolutely forthcoming with my background in wines and the wine-making process. I confess right away: "The extent of my knowledge extends to the I Love Lucy episode where she&apos;s stomping grapes in a giant vat." Harris smiles: "Well actually, that&apos;s not such a bad place to start. That method of extraction worked for thousands of years because it ensured that neither the seeds nor the stems made it into the final product. Seeds and stems are extremely bitter, and by using feet, vintners could make sure they weren&apos;t crushed and therefore accidentally introduced into the juice." Feet have been replaced by modern technology, crushers and de-stemmers that use a series of paddles and screens to make a pure result. "Where do your grapes come from?" I ask. "Well, they&apos;re not grown here," Harris explains. "The conditions for successful grape growing are very specific. Flavor can be affected by things like humidity and soil and temperature and the quality of sunlight. It&apos;s hard to do in our area." Stone & Key grapes come from multiple sources, including California, Washington state and Italy. "Grape selection is crucial," he continues. "You can&apos;t make great wine out of mediocre grapes." To ensure he gets the exact flavor profiles he seeks, Harris works closely with his suppliers, giving them specific parameters for the harvest. Once the juice has been extracted, yeast is added and the mixture is allowed to settle. The wine-to-be is then pumped into barrels, beginning the process of malolactic fermentation that gives Chardonnays their "buttery" flavor. "It is highly desirable," Harris says. "It vastly improves mouth feel." Then, patience kicks in. The wine ferments, with various tastings, testings and filtering scheduled throughout the process. Bottling and labeling are the final steps. The process varies somewhat for different vintages. If a sparkling wine is desired, CO2 is injected, producing the desired bubbles. 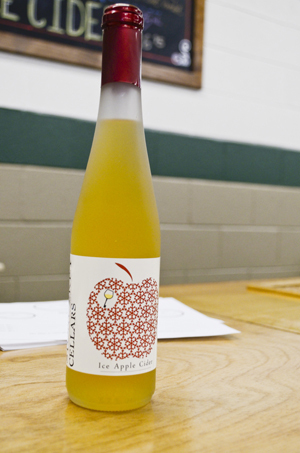 Stone & Key also makes hard cider, using local apples from orchards north of Montgomery County. "They do the pressing and filtering there, and what we get is just the juice," Harris states. Stone & Key offers a number of unique opportunities for visitors. With an emphasis on education and hands-on experiences, members of the public can experience the pride in producing their own barrel of wine. Under the guidance of trained staff, the project takes five sessions over 10-12 months, resulting in enough wine to fill 285 bottles. "We even work with local graphic designers to help people with unique labels," Harris says. If the result is an overpopulation of potables, Stone & Key offers half-barrel and quarter-barrel options. For do-it-yourselfers who want to try this at home, the winery shares retail space with Keystone Homebrewing Supply, where wine-making kits are sold. The close relationship between Keystone and Stone & Key is clear from the names alone; one is the inverse of the other. I end my visit with a few samples, which Harris serves from behind a long bar. He describes each vintage in detail and alerts me ahead of time to what I&apos;ll be experience with each mouthful. The final sip is of an ice-hardened cider, in which the distilled apple is frozen to further concentrate the flavor and the alcoholic kick. And kick it does. But the overall effect is smoothly delicious. Boyd&apos;s Cardinal Hollow Winery, Lansdale, Skippack and other locations. A bottle of locally produced wine can help set the mood for a romantic weekend away in Montgomery County, Pa., as we await the onset of spring. Even in these post-Valentine&apos;s Day weeks, the winter specials on rooms continue, offering great rates and a few freebies along the way. Check our site for details.